When deciding which amp valves to stock, tone, reliability & value for money were obviously the highest priorities. That’s why we chose the most currently re-branded range of valves in the world. We purchase large amounts of valves from the Slovak Republic & China. 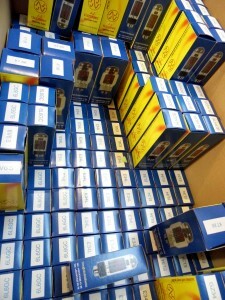 The JJ Electronic factory based in Slovakia is one of the largest suppliers of audio valves in Europe. Many of the valves are based on the original Tesla world-renowned designs, in fact the old Tesla factory was the starting base for JJ valve production back in 1994. We have been installing valves into amplifiers for many years & whilst the JJ valves were top of the list for valve-shop stock, the Chinese Shuguang valves had also proved to be robust & reliable over the years in countless amp repairs. Once again the construction & build quality is up there with the best. Just take the EL34-B power tube for example, one of the most re-branded & popular audio valves currently on the market! But what about the all important tone? When it comes to the subject of a valves tone, EQ curve, gain structure, compression & distortion characteristics the internet is rife with opinion. On-line reviews continue to influence us & whilst certain tubes may be praised by one user, they are just as swiftly pushed back down by another. We do like to hear as many opinions as possible before parting with our cash, and whilst the internet makes light work of purchasing it can often lead us into review confusion as a consumer! 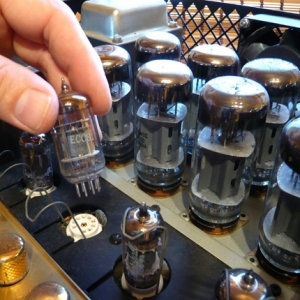 Our amp tech Dave Parker builds all kinds of amplifiers & has experimented with various all valve & hybrid designs. His expertise in amplifier design & valve behaviour was a major factor when deciding which valve brands to stock/install at Guitarlodge. 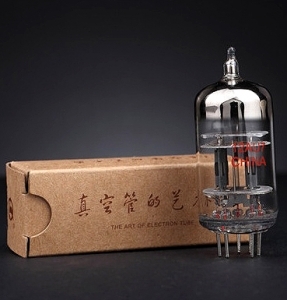 The JJ Electronic & Shuguang valves have continued to offer the best all round tonal clarity & performance when used in guitar, bass & HIFI amplification. Dave favours Shuguang EL34-B valves in the output stage of his HIFI amp designs, mainly due to the clarity & durable thicker glass bottle. There have been so many debates about the tone changing capabilities of various valve brands. Renowned brands like Mullard, Telefunken, Sylvania etc are still in demand today & will cost considerably more than your standard replacement valve. Often referred to as ‘new-old-stock’ many of these valves can date back to the 60s & often earlier. A large percentage of these vintage valves are no longer in production, (although many are now being reissued) & have been stored, re-located, sold off, tested, re-tested but never actually installed in an amplifier. There’s no denying the build quality of many of these military grade NOS tubes, but are they really worth spending all your hard earned cash on?? So what’s all the fuss about NOS tubes? Would you be able to tell the difference in a head-to-head valve comparison using an amplifier other than the one you’re used to? Probably not. But what if you were to change the valves in your own trusty valve amp, which you’ve had cranked during rehearsals & gigs? Yes there’s a good chance you may notice a difference in tone characteristics & headroom etc. You would more than likely tweek the eq controls until you heard that familiar tone you’re used to, albeit hopefully a lot clearer than before you re-valved your amp! If you’re not happy with the tone of your amp & expecting certain valves to change or improve it, then maybe it’s not the amp for you? We have frequently heard both sides of the ‘what’s the best tube for my amp’ debate & our advice would be this: If you want to spend a few hundred pounds on NOS valves because you feel it might improve your tone, don’t forget valves are at their best for a year or two & then start to degrade, also they won’t last long if your bias isn’t set correctly. Oh & there’s a good chance they may not live up to your expectations in the tone dept. Our advice, choose valves that’ll stand up to being thrown into a van every week, played hard & still deliver killer tone, and won’t cost you a small fortune! 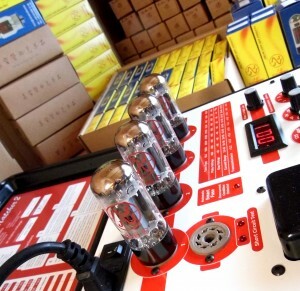 We can supply a range of digitally matched & tested amplifier valves/tubes from our new on-line valve shop. 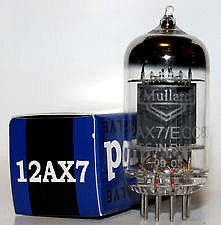 Guitarlodge valve shop offers some of the lowest prices on guitar amplifier valves & tubes on-line. We can install the valves for you & test bias settings if required. Please contact us for more information. All prices include VAT, please see our prices page for further details. We accept payment by Paypal, cash, cheque or direct bank payment. All appointments by prior arrangement only, please call us for more details.